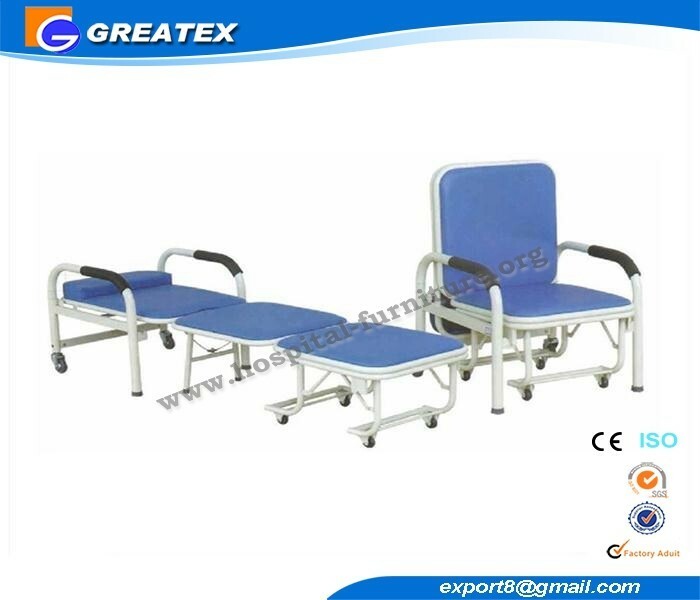 Fold size: 600*500*1050mm Unfold size: 600*500*1950mm This chair is for the person who accompany patients in hospital, it can be fold as a chair in day time, while unfold as a bed at night. Chair frame:steel power coated. 3 pcs bedboard with pillow.